Once we left the Gulf Coast, we headed back up to Austin to visit with family for several days. Diana’s cousin Nancy and her husband David, who we went to Big Bend with last year, live in Austin. Diana’s cousin Jerry had spent the winter there after retiring, so we also wanted to see him before he headed back to Michigan. They all went out of their way to show us a great time in this fun town! First up on Thursday was a trip with Jerry out to Johnson City to see the 36th President of the United States, Lyndon Baines Johnson’s boyhood home. 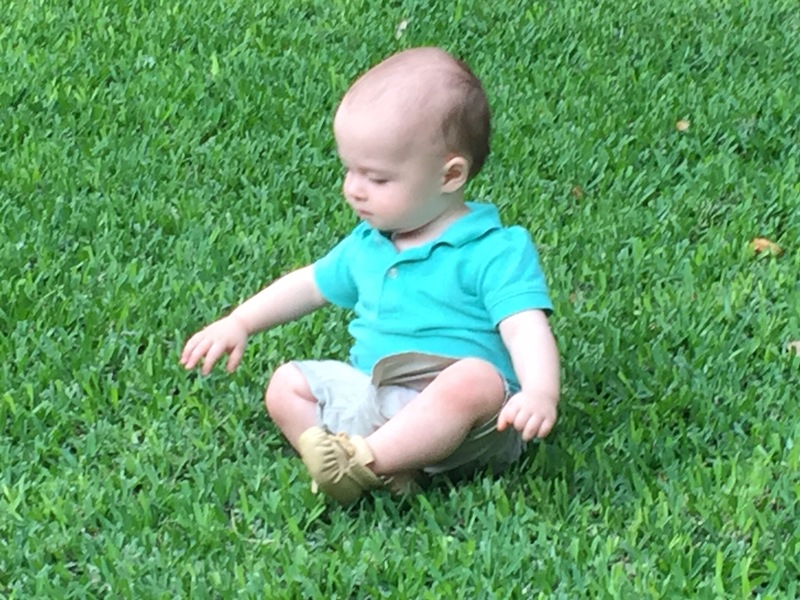 While his family had a fair amount of wealth, they lived simply in a rural Texas style. 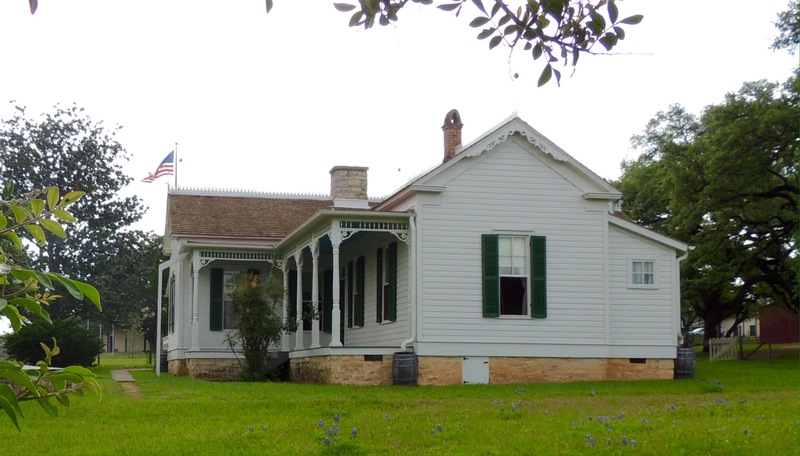 From there, we drove west to Stonewall to the LBJ Ranch, otherwise known as the Texas White House. The visitor’s center for the ranch is housed in the former aircraft hanger. 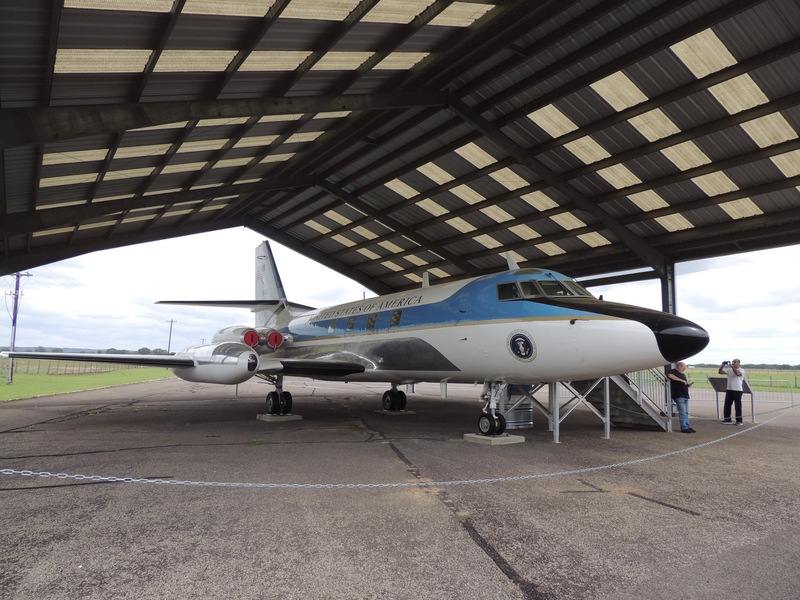 LBJ would fly in to the ranch on this Lockheed JetStar that he dubbed “Air Force One Half”. We found it interesting that he spent 20% of his time in office at his home here in Texas. The wing on the left with the covered chimney was his fully functional presidential office. The gentleman on the left was our tour guide. He told us that a man on a tour he gave earlier in the day was the brother of the Dallas police officer J.D. Tippet, who was shot and killed by Lee Harvey Oswald after JFK’s assasination. 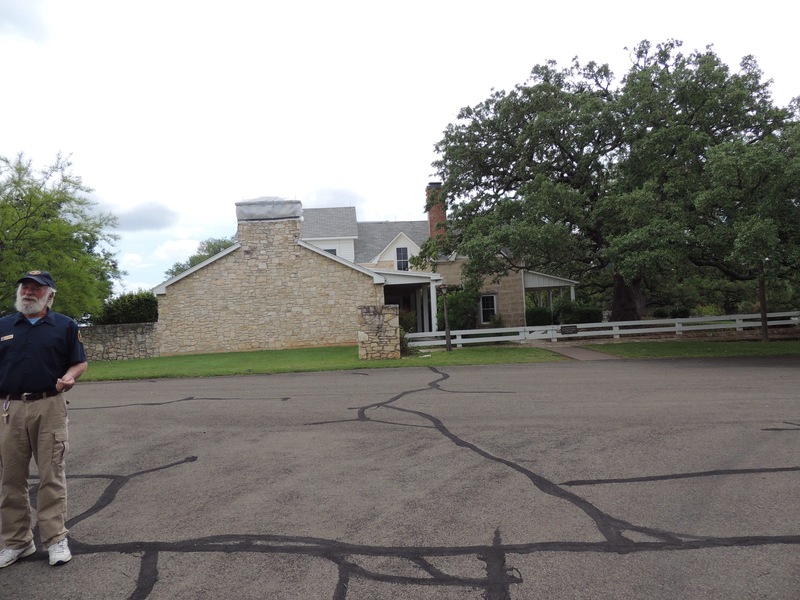 The ranch is where the Kennedys were to spend the night of November 22, 1963, but that was not to be. This was LBJ’s domain. He used his 6’4″ frame…and several chairs that sat taller than the guest seating…to persuade people. 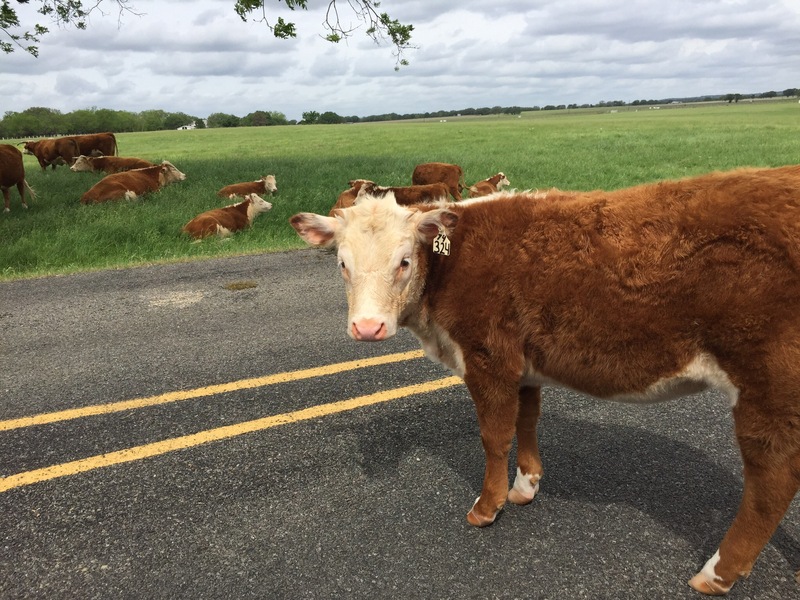 He felt self conscious around the Ivy-leaguers who ruled in Washington with himself only having a Texas teacher’s college education, so he would bring them to his ranch where they were out of their element. He achieved a lot in a short amount of time at this location. He died of a heart attack in this home at the age of 64, six years after he left office. That evening, we went to a place in South Austin that Jerry had discovered called the Saxon Pub. 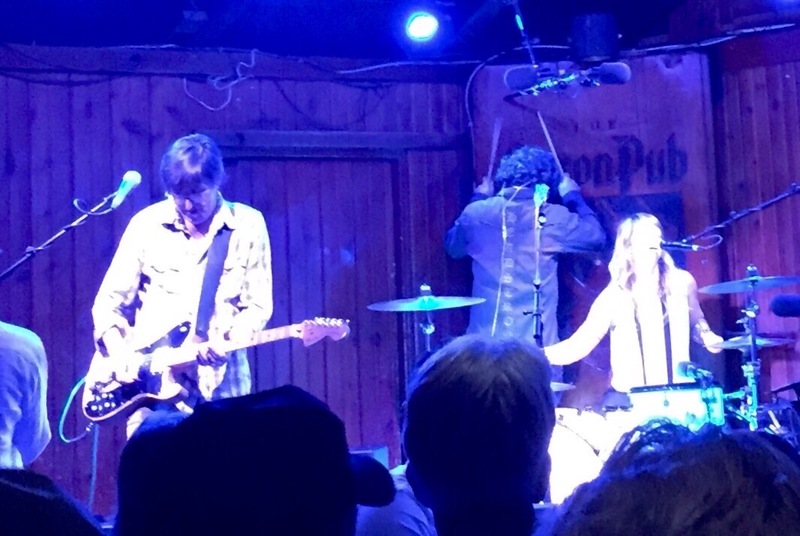 Austin has a tremendous music reputation, and this night lived up to it. The headliner was Patrice Pike. She and her band put on an amazing show. At one point, she morphed one of her own songs into “Whole Lotta Love” by Led Zeppelin, sliding into the drummer’s place. That left the drummer no choice but to beat the wall with his drumsticks. The audience definitely got their money’s worth! The next day, Diana and I met up with Jerry, Nancy, and David. 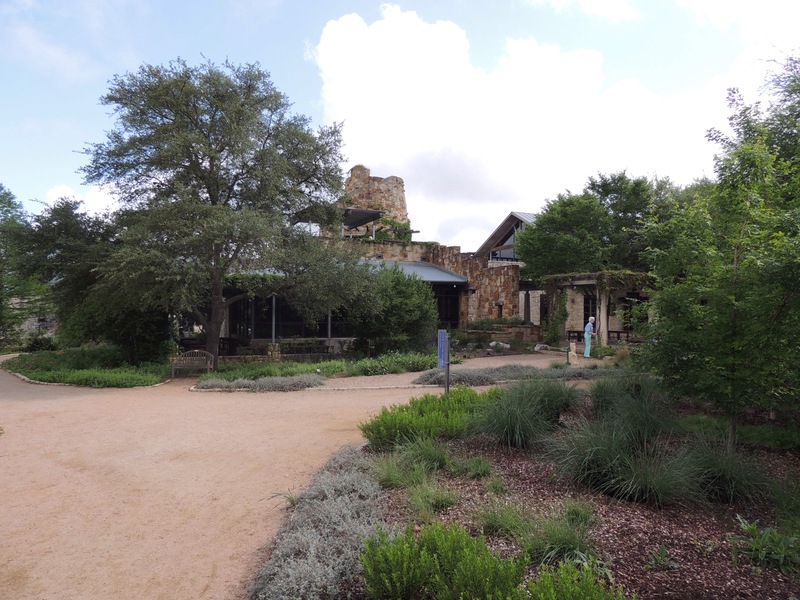 Our destination was the Lady Bird Johnson Wildflower Center. 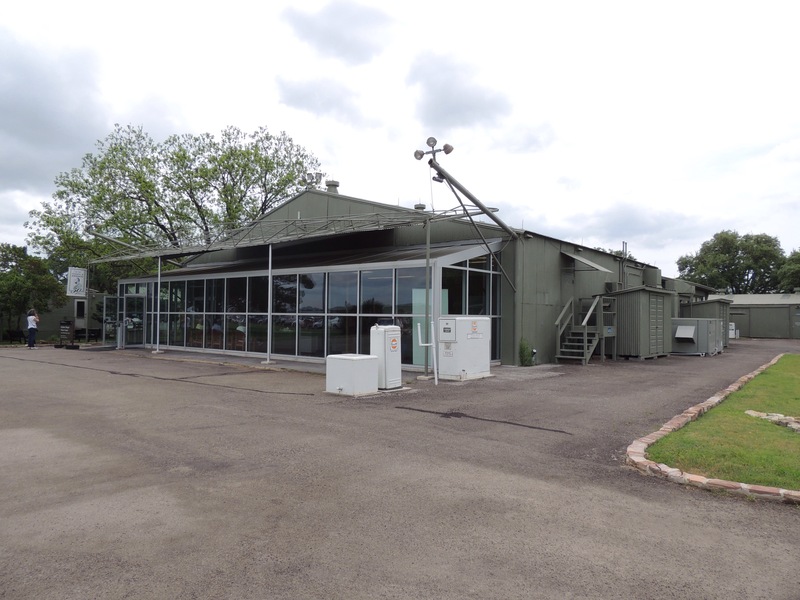 The facility had a natural feel to it, and the buildings blended well with the surroundings. Austin, in general, excels in their use of the local limestone in their architecture, giving the town a warm and inviting feel. 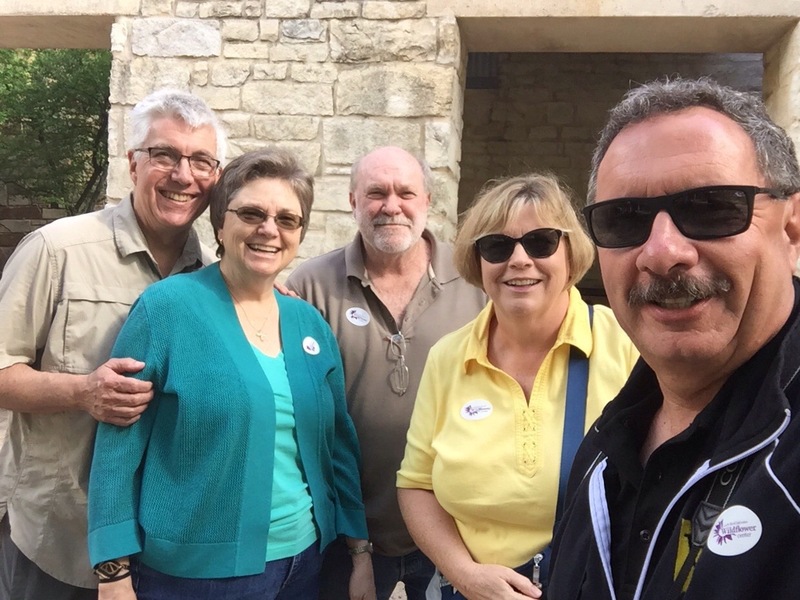 We enjoyed our visit to the gardens, and followed it up with lunch at a local barbecue joint called Salt Lick. That was delicious! Later that evening, Jerry’s son Ben and daughter-in-law Sara had us over for dinner, which was even better! 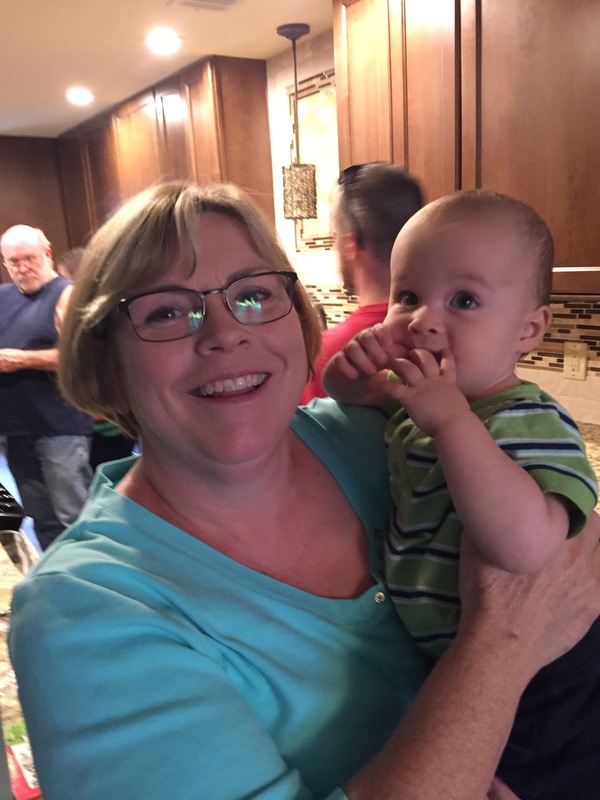 Here is Diana loving holding their son Cole. What a cutie! Saturday afternoon we headed over to Nancy and David’s home for dinner. Their sons Thomas and Robert, along with their wives Marlana and Tashia were there, and also Jerry, Ben and Sara. 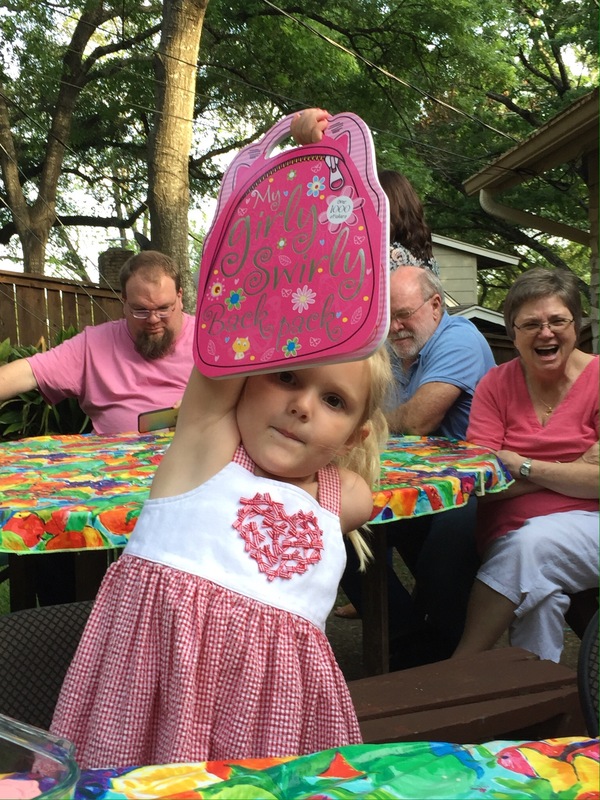 There we had a birthday party for Sara and Cody Lynn, Nancy and David’s granddaughter. Here is Cody Lynn showing off her new sticker book we got her. 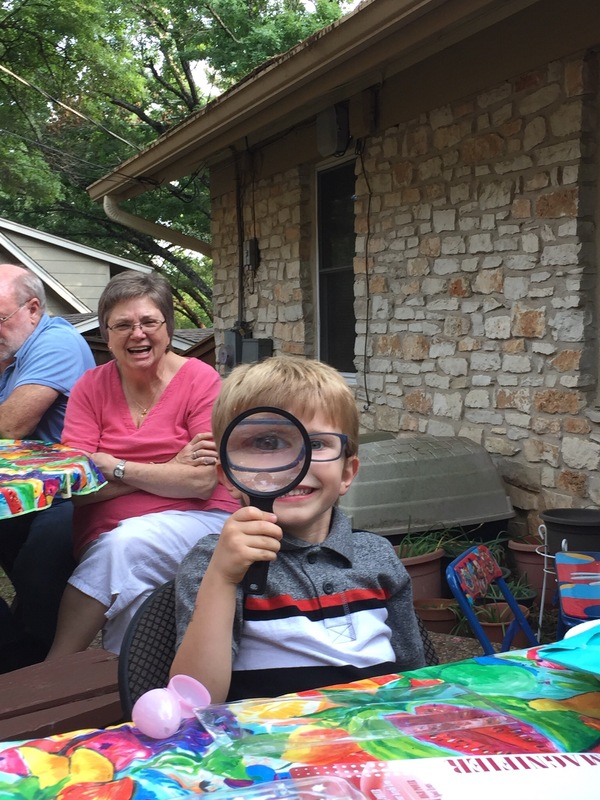 We thought her brother Hayes might like a present also, so we got him a magnifying glass. It was a hit! 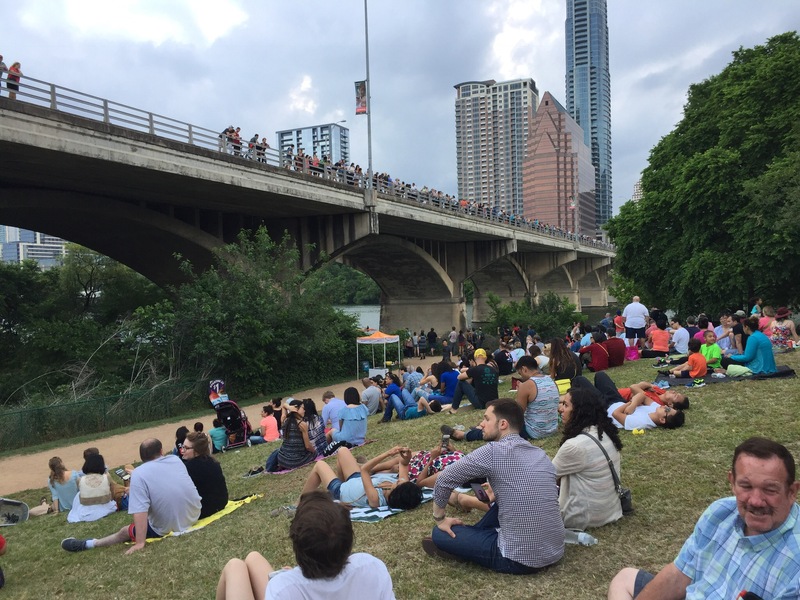 Sunday evening, we headed downtown to see one of Austin’s unique phenomenons, the evening bat flight. When the Congress Avenue bridge was reconstructed in 1980, the gaps under the roadway unknowingly provided an ideal place for bats to roost. Up to 1.5 million bats reside there by mid summer, and their nightly departure draws quite a crowd. From our vantage point, we couldn’t see them very well…as it was quite dark when they began leaving. Still, it was a hoot to see the people hanging out to watch. Monday, we began our journey west! First stop was the tiny town of Junction to meet up with fellow RV-Dreamers Debbie and Steve! We set up camp at Schreiner City Park, which allows three days of free camping. We found this and the park mentioned in our last post on the AllStays app. It’s pretty tough to beat that site! Just beyond that shelter is the junction of the North and South Llano Rivers that give the town its name. As a bonus to getting to see Debbie and Steve (seated behind me), we were able to meet Pam and Red, who are also fellow RV-Dreamers. What a great evening! If you are counting, that’s four couples from Howard and Linda’s rallies that we’ve met up with in Junction in the past two years. The next day we headed to Balmorhea State Park in Toyavale. This location is getting out there in the West Texas desert and featues a huge natural spring. In the 1930’s, the CCC turned it into the attraction it is today. …the natural bottom or the fish! We did go for a dip, which felt really good. 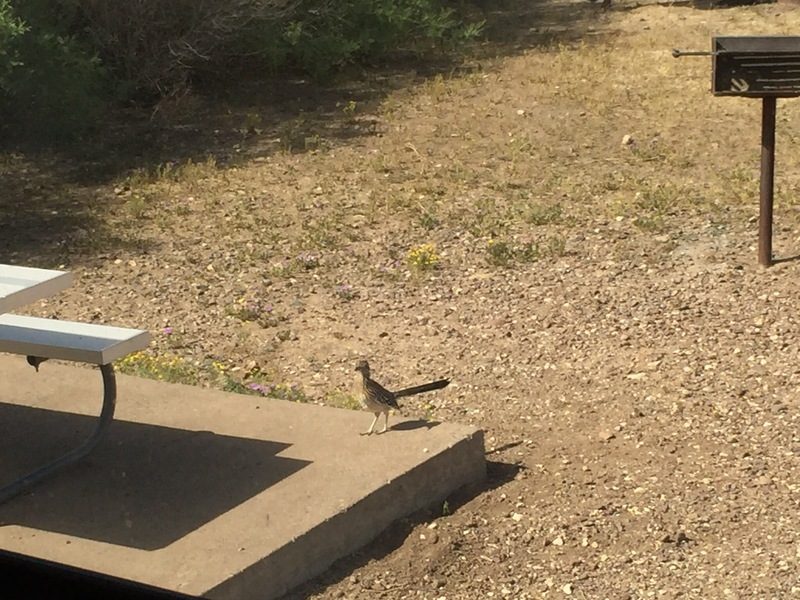 We also enjoyed watching the roadrunners and the bunnies at our campsite. 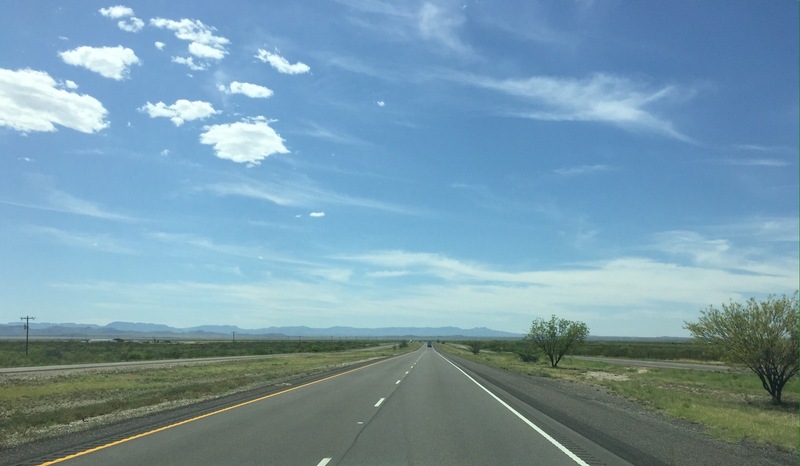 On Wednesday morning, we headed west toward El Paso. For some reason, Diana and I had pictured it to be a sleepy West Texas outpost…not realizing that the city is home to well over 600,000 people! With construction on Interstate 10, the trip through town was a bit more than we expected. 😊. We enjoyed our trek across Texas and are looking forward to what comes next. Be sure to stay tuned! Sounds like you are having a wonderful time on your journey west. We loved those Texas jackrabbits with their big ears. They drove Rascal crazy hopping all around the camp sites. We a starting to see things that are new to us, Bonnie. It definitely is fun! You two sure had a good time scootin across Texas! Loved getting to meet up again! That park in Junction was a great find. Having to get used to this humidity again is not fun though. Thought of you as we drove past the LBJ place. We had a great time with you and Steve! By the way, we did find that gas station in Junction…thanks! Love Austin!! Keep wanting to hit Balmorhea, but always seem to miss it on our way out west. Even as busy as Austin is, it still has a laid back vibe to it. 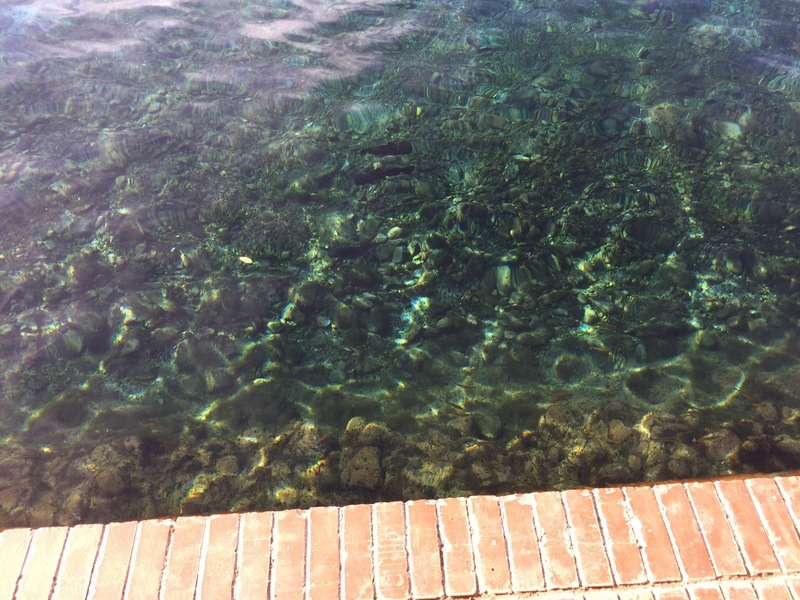 On Balmorhea: we want to go back there and spend some time, so we can visit Fort Davis. That spring felt really good after a long day on the road! 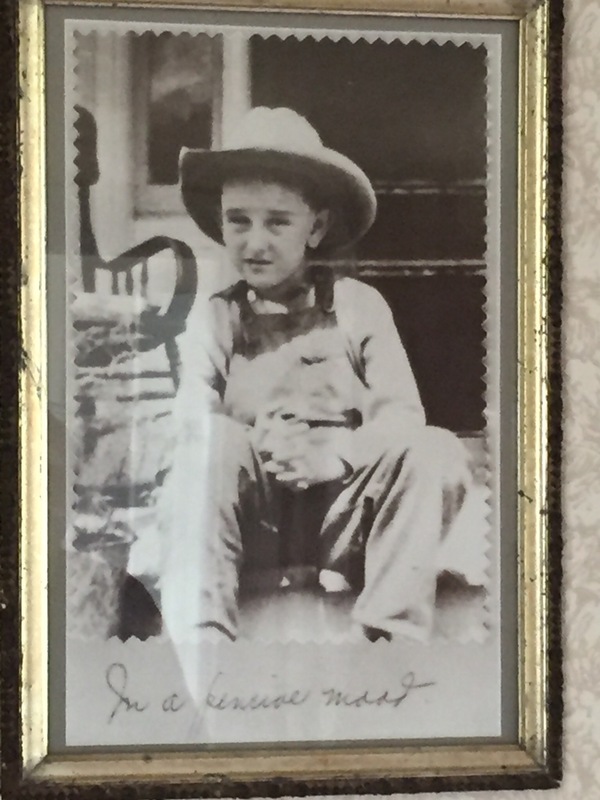 I think LBJ was a “stinker” when he got older too. There is a bypass around El Paso that we took this year that just made the trip much easier than I-10. 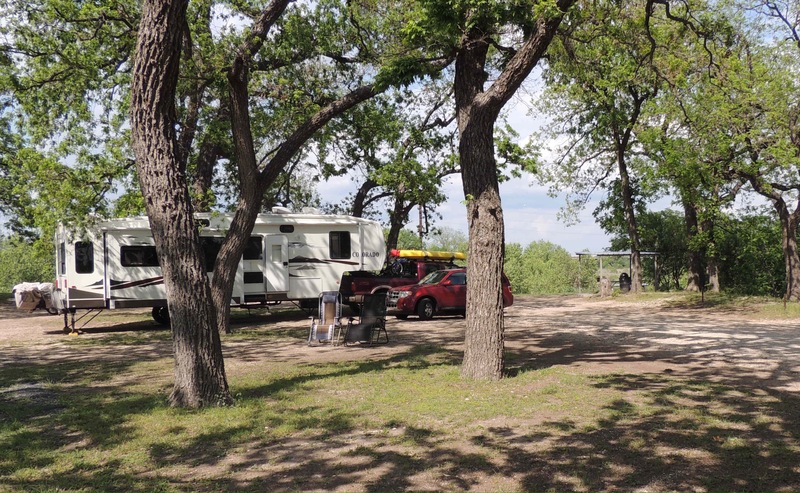 We stayed at South Llano State Park but the city park looks like something to checkout. I’m sure he was! Thanks for the tip on the bypass! Thanks for all the historical info – as always! How awesome to meet up with Steve & Debbie AND meet Red & Pam! What a great time that must have been! It sure was, Kelly! You are welcome on the history. That ranch was really something. LBJ’s staff actually had a pecan pie ready for JFK that day in 1963. So much history. Texas is a huge state. Looks like you had a good time seeing family and friends. My parents remember swimming in that pool when they were kids. My Dad attended camp out in that area between Balmorhea and Ft. Davis. Looks like you had a fab time in the Austin area! That’s really neat, Linda! It sure is a nice break on a hot day! Hi, Phyllis! We sure are having fun!